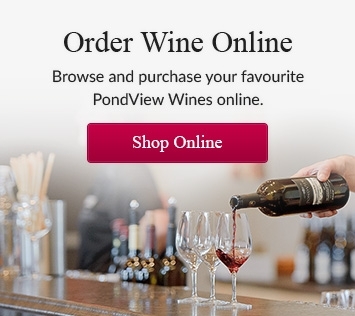 Enjoy an assorted 12-pack of your favourite PondView Wine. Save $15 plus FREE Shipping! This exclusive offer is only $176.45 for a limited time only. Soft, easy drinking yet vibrant blend of unoaked Chardonnay, Riesling and Gewurtztraminer. Crisp and fresh with flavours of green apples, tropical fruit, mango and peaches. Pairs with Grilled Chicken, Tilapia and good friends. Easy drinking fruit driven blend of Merlot, Cabernet Franc and Cabernet Sauvignon. Aromas of black cherry, red plum, sweet spices and a hint of black licorice. Pairs well with Ribs, Burgers and good friends. A wonderful bottle of summer sunshine. Delicate notes of floral and peaches on the nose. Refreshing and crisp citrus with ripe peaches on the finish. Pairs well with Chicken, Mango and Avocado Salad. This is Summer in a Bottle. Delicious floral notes of Watermelon and Strawberry. Enjoy with Salmon, Salad Nicoise, and a "Great Summer Breeze". Click the link below to order online.